Free Yoga Sacramento was created to provide the Sacramento Yoga Community with a list of free and donation-based yoga and meditation classes so that everyone can experience the benefits of these classes. I started Free Yoga Sacramento because I wanted to help my friends and family find free yoga classes. I also benefited from having the list at my fingertips. I decided that everyone could benefit from this free yoga list and began sharing it within the yoga and meditation community. Publishing it on a website was inspired by wanting the information to reach a larger audience! I believe in sharing yoga. My dream is to share my love of yoga with the entire Sacramento area. Yoga is for everybody! There are classes for children, older adults, people with disabilities, the LGBT community, veterans, families and more. 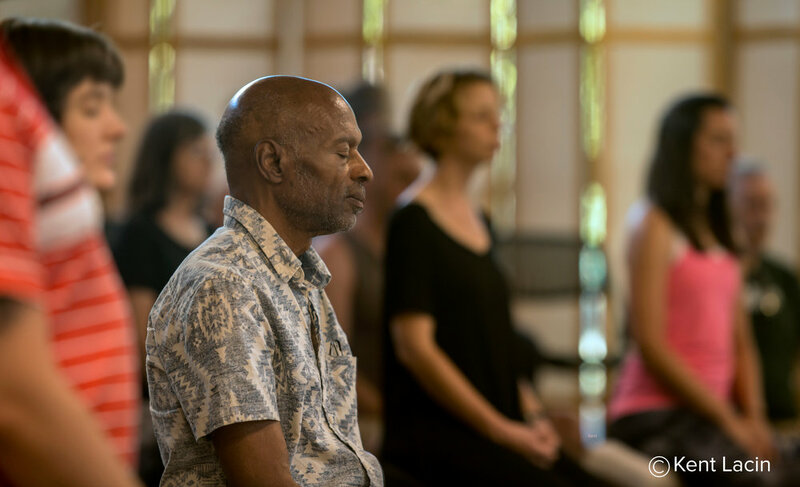 Free and donation-based yoga and meditation classes make the classes affordable for everyone. I founded Free Yoga Sacramento to make yoga and meditation classes accessible for all. I hope that you find this resource helpful and share it with your friends and family! Volunteer opportunities are also made available so that you can give back to this community that is so giving to us. Small acts of kindness can make a big difference in the world. May you find peace. "Free Yoga Sacramento is a blessing to the Sacramento area community and beyond. I'm always impressed with how accurate and complete the listing is. Thanks for including us!" "Yoga has helped me in many ways especially as a new mom. Having an easy way to find free yoga locally has been useful when I get that free moment to spend time with friends while getting a chance to exercise! " "Being a student, it is difficult to find yoga classes that fit into my budget. I am fortunate that Sacramento has many free yoga classes to offer. The Saturday morning class hosted by Yoga in the Park and the Monday evening class at Sol Collective have been my favorite classes. I highly recommend!" "This site was so helpful especially when I was pregnant and looking for local studios offering free prenatal yoga. Love the convenience of having the free yoga list compiled in one place! Thank you so much for making the free yoga search so easy!"